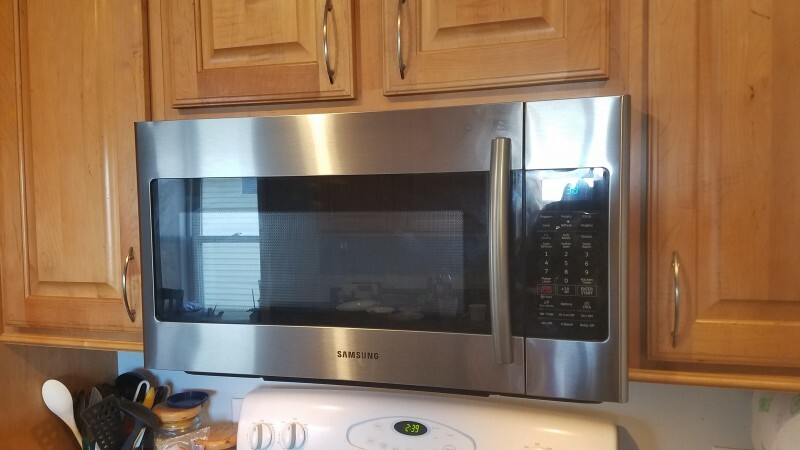 Our microwave gave out. The light comes on and it makes noise, but nothing gets heated. So its time to put a new one in. We’re cheap, so we’ll do it ourselves. Step one was to remove the old one. This was of course the easy part. then we (Danelle) had to measure and prepare for the new one. Here is is ready to put in. 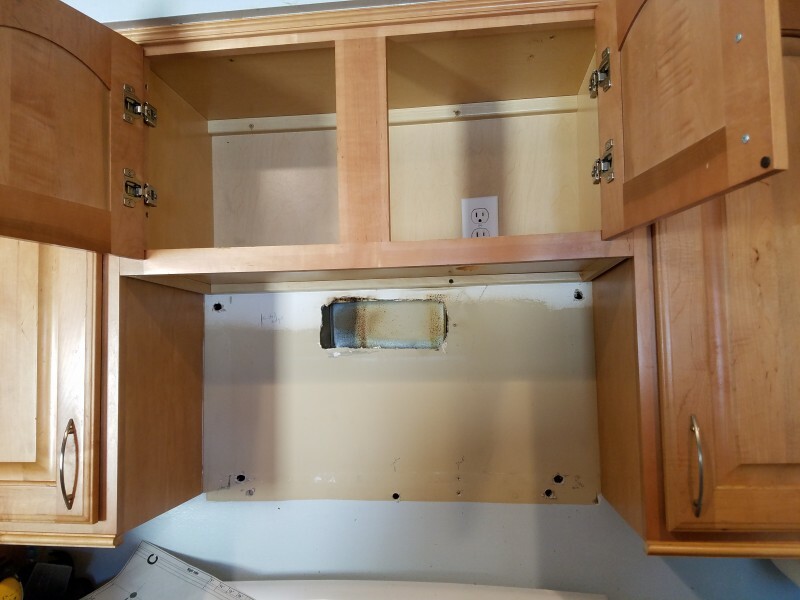 You can see the original color of the kitchen here. And a brace to hold it in is installed. Then we have only to unbox and install.The finished product. 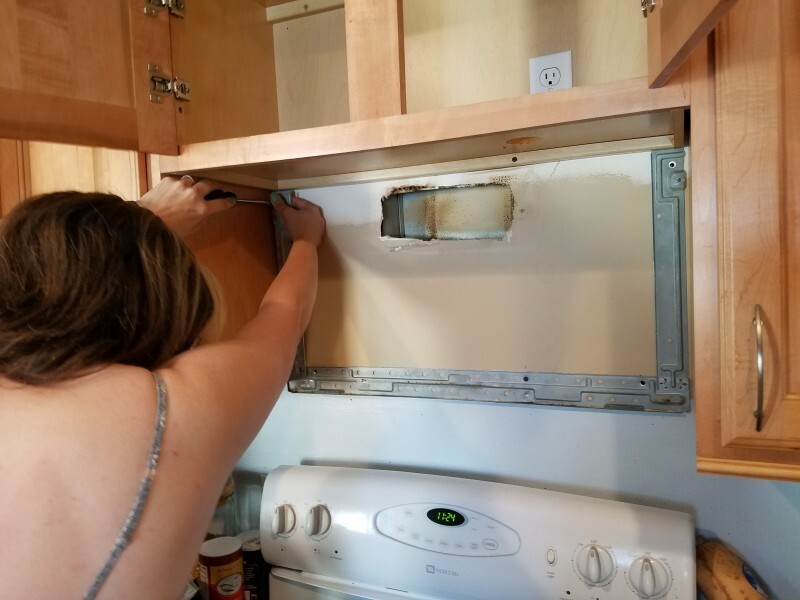 There is a 1/8 inch gap at the top where it doesn’t meet the cabinets, but we’re happy. This entry was posted in General and tagged Danelle. Bookmark the permalink.